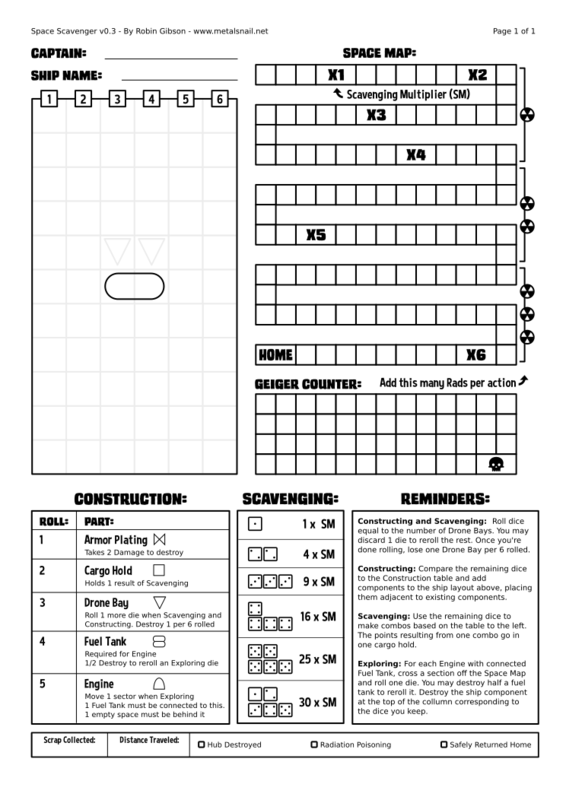 Space Scavenger is a roll-and-write solitaire game where you become the captain of the galaxy’s lowest budget spaceship, flying through the junk-filled space of What-Used-To-Be-Sol, building up your ship and collecting valuable scrap, as you fight for survival against dangerous debris and radiation. If you make it through out alive, maybe you’ll have enough credits to take a week off. If you don’t, well, at least those idiots at the Space Bureau have to fill out some paperwork, so that’s kind of a win! 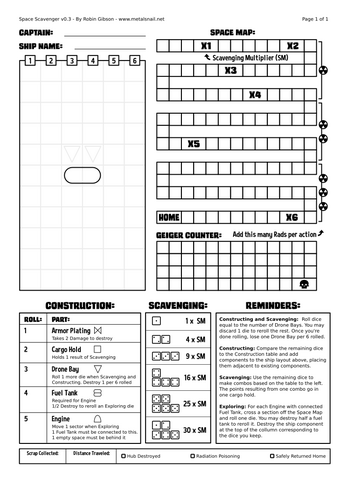 In order to play, you’ll need the PDF available here, the rules from Google Docs, (Listed below) a pencil and eraser, and at least six six-sided dice. I lost my drone bays so I can't construct anything, be that drone bays or anything else. A vicious cycle, damn. You've gotta protect your drone bays, how early in the game did this happen?